You may have heard women are “eating for two” during their pregnancy, but carrying a baby does not open the door to uncontrollable eating. 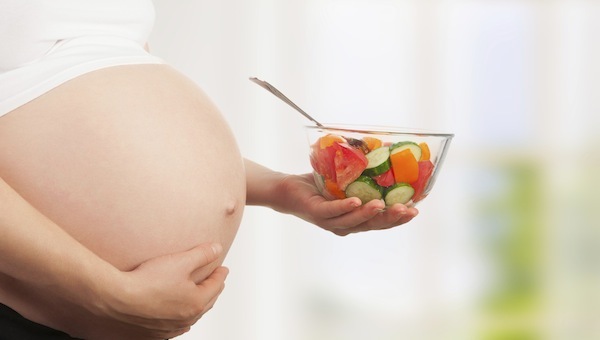 During your pregnancy, it is vital to eat nutritious meals and wholesome snacks that promote a normal pregnancy, safe and steady weight gain, and most importantly, a healthy baby. In the beginning of your pregnancy, it may seem difficult to keep anything down because of morning sickness or food aversions. Holistic nutrition and wellness coach Ling Wong advises that women should only consume an additional 300-500 calories a day during pregnancy, which equates to 1-2 snacks. This may seem easy but when those pesky cravings start taking over and you are overcome with exhaustion, you might be gaining more than the ideal amount of weight. Though every woman is different and has a different pre-pregnancy weight, Obstetrician Dr. Shamsah Amersi, endorses the following guidelines for weight gain during pregnancy for a single baby. Underweight (BMI < 18.5) 35 to 40 lbs. Normal weight (BMI 18.5 to 24.9) 25 to 35 lbs. Overweight (BMI 25 to 29.9) 15 to 20 lbs. Obese (BMI 30 or more) 10 to 15 lbs. If you are carrying multiples, these numbers slightly change and your healthcare provider will advise you on your ideal weight gain. During the first trimester, your body does not need to gain too much weight. Women starting out in the normal weight range need to gain a small number of pounds in the first few months of pregnancy. As your pregnancy progresses into the second and third trimester, a steady gain of 3 to 4 pounds a month until delivery is recommended. 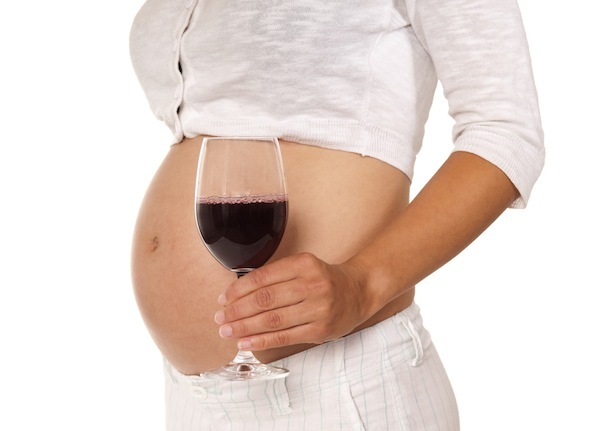 Starting off your pregnancy underweight, may cause your baby to be born earlier or smaller than anticipated. You will need to gain a safe and reasonable amount of weight during your pregnancy through the guidance of your healthcare provider. You might have an increased risk of developing pregnancy complications if you are overweight, such as gestational diabetes and high blood pressure. Dr. Amersi says women with diabetes who are overweight, have a higher risk of having a baby that’s too big to be delivered vaginally. Additionally, the extra weight during your pregnancy can jeopardize the safety of the baby during active labor. Perinatologist Dr. David Miller said shoulder dystocia occurs when the baby is so large, the head can deliver but the shoulders cannot, potentially causing injury to the nerves of the neck and the arms. Gaining more than the recommended weight and not shedding it after the baby is born can lead to lifelong health risks as well. Women who are overweight increase their chances of diabetes later in life by 50 percent. President of Shape Up America!, Barbara J. Moore says that babies have a higher rate of mortality or premature births when their mom is obese. If you are underweight or overweight beginning your pregnancy, your healthcare provider will work with you to increase your meals or scale back in order to have a safe pregnancy for you and your baby. I was worried that I have gained too much weight during my pregnancy but it looks like I am actually doing pretty well!